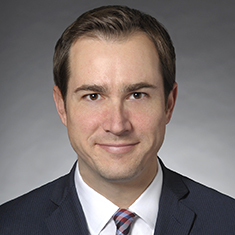 Christopher S. Atkinson is head of Katten's Chicago Private Equity practice. He provides experienced counsel on mergers and acquisitions and general corporate matters, including acquisitions and dispositions for private equity and strategic buyers and sellers, corporate restructurings for distressed companies, financing transactions, and general corporate representation. He represents clients from startups to large public companies in several industries, including manufacturing, parking, education, pharmaceuticals, restaurants, health care and technology. Prior to joining the firm, Christopher worked in the technology industry and has significant experience with start-ups and open source technologies. Christopher is involved in philanthropic activities throughout the Chicago area, including serving on the Ravinia Festival Associates Board.